New Zealand has been fortunate to have had some of the leading international teachers of the Hazrati Sufi lineage come here on a regular basis. In recent years the Inayati Sufi Order Aotearoa New Zealand has hosted Pir Zia Inayat-Khan, spiritual leader of the Order, while Murshid Shahabuddin David Less and Murshida Devi Tide have led major annual training programs. Other recent inspirational visiting teachers include Pir Shabda Khan, Murshida Leilah Be and Murshid Allaudin Ottinger of the Sufi Ruhaniat and Murshid Nawab Pasnak of the Sufi Movement. The Sufi seeks the presence, in this world, of the One from whom the world has come. The Sufi remembers that we are not here for ourselves, but for the One to whom we belong. To remember this is to lay down one’s worries and grudges, and uplift one’s gaze to the One who has always been, will ever be, and is, here and now, at the center of everything. There is no higher calling than to make one’s life a pure channel for this primal force, the compassion and yearning that has given rise to all that is. Sufism is the path of purification and remembrance by which the heart is made its vessel. Pir Zia Inayat-Khan is a scholar and teacher of Sufism in the lineage of his grandfather, Hazrat Inayat Khan. He is the president and spiritual leader of the Inayati Order and founder of Seven Pillars House of Wisdom. He established the Suluk Academy, a school of contemplative study with branches in the United States and Europe. Pir Zia holds a doctoral degree in Religion from Duke University, is a recipient of the U Thant Peace award, and is a Lindisfarne Fellow. His anthology A Pearl in Wine: Essays on the Life, Music, and Sufism of Hazrat Inayat Khan was published in 2001, and his book Saracen Chivalry; Counsels on Valor, Generosity and the Mystical Quest was published in November, 2012. The path of each of us is distinct to us. We begin with our own conditioning, which is different for each one of us, and that is the place from which we embark on the path. The issues that arise as we walk the path are not extraneous to the path. These are the very substance of the path. The path does not exist outside oneself. It exists within. And along the way, all of the resistances, all of the fears, all of the feelings of inadequacy, all of the desires — these are not extraneous to the path. These are the very substance of the work. How we work with what is coming through the self — that is the substance of the spiritual path. Shahabuddin is a Senior Teacher in the Inayati Order and the International Head of the Universal Worship, an avenue for the harmonious celebration of all of the faiths of humanity without cultural or religious bias. David’s generosity and joyful spirit inspire seekers all over the world. He has practiced Sufism for all of his adult life and travels extensively and continually, teaching meditation, peace building, inter-spiritual harmony and inner practice. 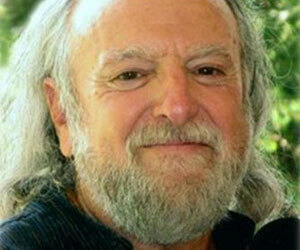 He is recognized globally as a teacher of harmonious living, health, meditation and personal transformation. 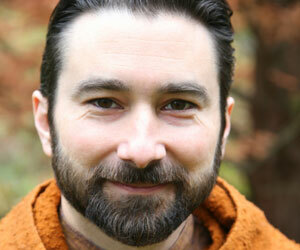 He is the co-director of Rising Tide International and the author of Universal Meditations: Recipes for a Peaceful Mind. Shahabuddin is a founding member of the Abrahamic Reunion, a unique group of well-respected spiritual leaders, in the Holy Land and beyond, Palestinian and Israeli, Jews, Muslims and Druze, who act as a living example of harmony among the world’s religions. Devi Tide is the Kefayat (Head) of the Inayati Sufi Healing Order in North America, New Zealand and Australia. She has over thirty years experience as a teacher of healing and the esoteric sciences, bringing the qualities of wisdom, heart, subtlety, humor, and intelligence to her role. Devi has contributed to programs in India, Australia, New Zealand, Europe and North America, participating in programs in places such as the United Nations and the Harvard Mind Body Institute. As a teacher of yoga and ancient healing practices, and as a guide of Healing retreats, Devi serves medical professionals, educators, sociologists, and laypeople. 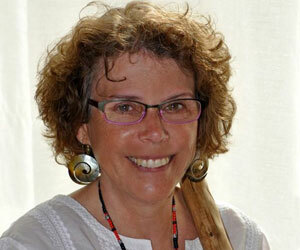 As a worldwide speaker, Devi represents the inner vitality and harmony of the body, mind and spirit. She also offers personal transformation through her seminars, public speaking and individual sessions.